David was born in Singapore in 1967. He has lived in West Cornwall since the age of seven when his family moved back home, and currently lives in Madron. He attended Tolcarne School where his love of music was triggered by Mr. John White and Mr. Henry Norris (headmaster). He was a chorister at St. Peter's Church in Newlyn, learning the piano under the tutelage of the organist, Mr. Wadge. David sang in the choir at Humphry Davy Grammar School under the baton of Mr. Russell Jory, who was also his tutor when he studied O- and A-level music at Penwith Sixth Form College. David sang with Newlyn Male Choir for many years which gave him his grounding in male voice singing. He was also a member of Govenek Choir for a number of years, where he met his wife, Alison. 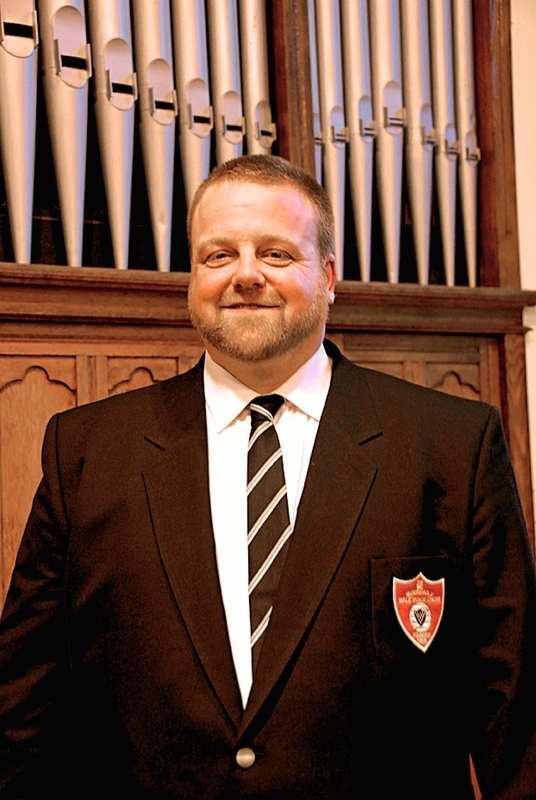 He has sung baritone in Buccas Four, a male voice quartet, since they formed in 2001. In his working life, David is a Dispensing Optician, at Reynolds Opticians, at the bottom of Market Jew Street, Penzance. Away from music, David loves skiing when he gets the chance, and motorbike touring. David was appointed Assistant Musical Director of Mousehole in 2010, and also sings in the baritone line. He is a great asset to the Choir in the preparation and printing of music, which has been arranged for the Choir, and compiling rehearsal CDs. He is enjoying working with the Choir, both in rehearsals and concerts, and feels privileged to have been given the opportunity to be part of the tradition of male voice singing in Penwith.